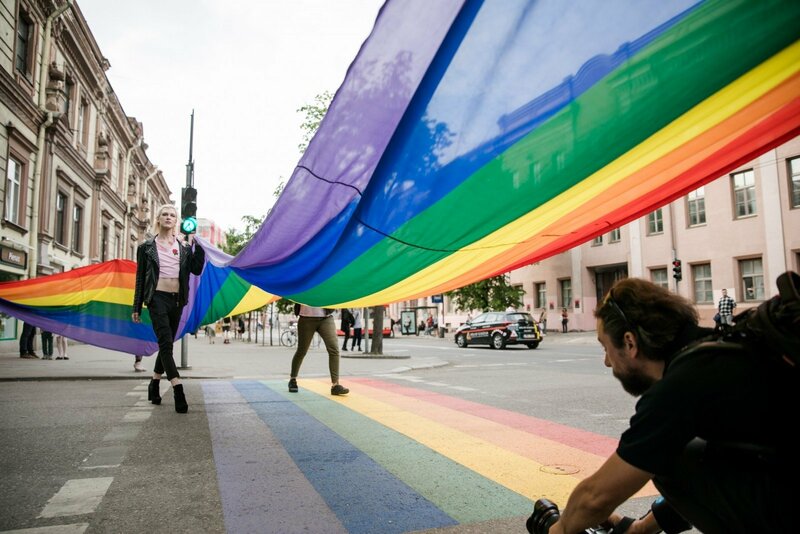 A symbolic rainbow-colored pedestrian crossing has been opened in the Lithuanian capital of Vilnius to mark the rights of lesbian, gay, bisexual, transgender and intersex (LGBTI) people. 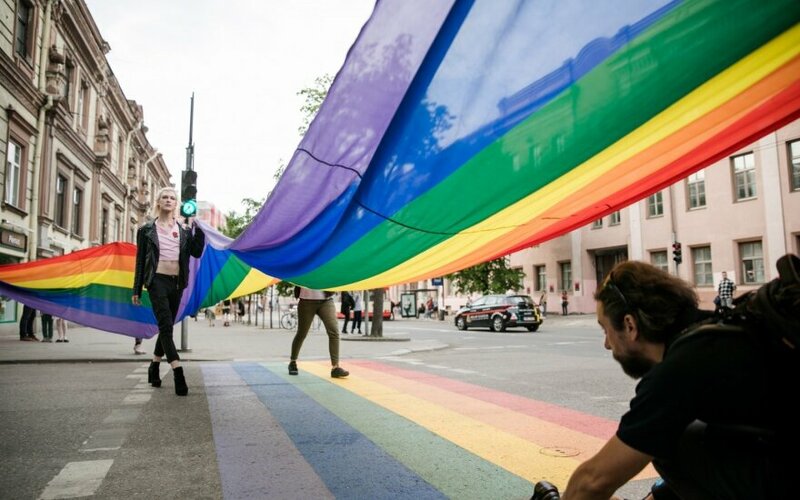 The pedestrian crossing in Pylimo Street, in the center of Vilnius, was painted in rainbow colors and a 30-meter-long rainbow flag was unfurled on Wednesday evening, on the eve of the International Day Against Homophobia, Transphobia and Biphobia. The rainbow crossing links a building that houses the local LGBT community center with a jazz club. Vincas Jurgutis, head of the Liberal Movement's political group at the City Council, says that the crossing symbolizes Vilnius' openness to the LGBT community. "It's time to move on and solve other topical issues, such as the legalization of partnerships," he said, calling on the Seimas and the central government to move forward with these issues. Vladimir Simonko, the Lithuanian Gay League leader, noted that Vilnius' local authority has already issued permission for a Baltic Pride parade to be held in the Lithuanian capital in June 2019.